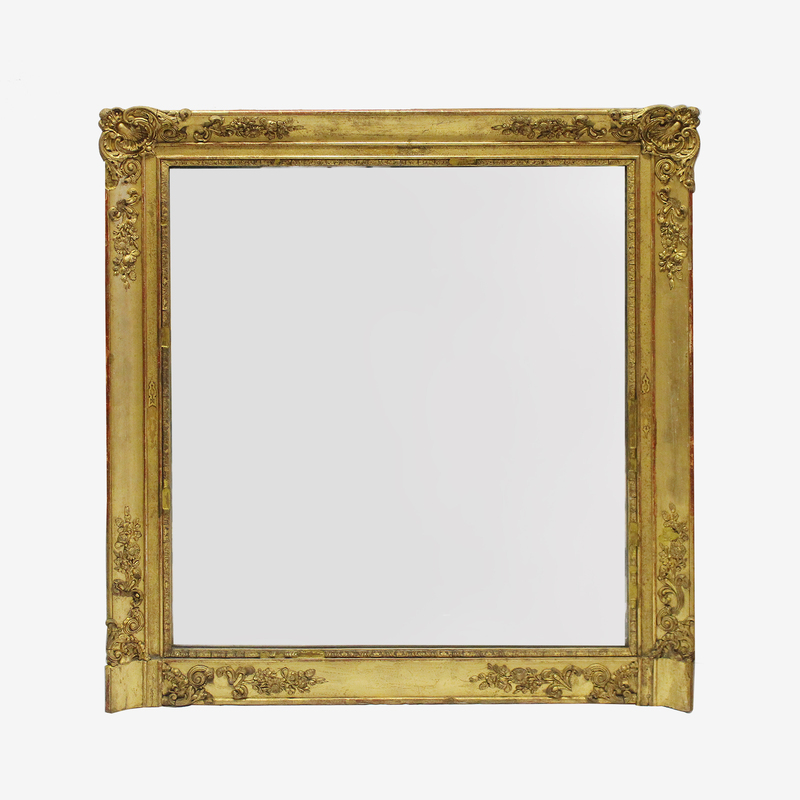 Antique square 19th Century French carved gilt wood wall mirror. 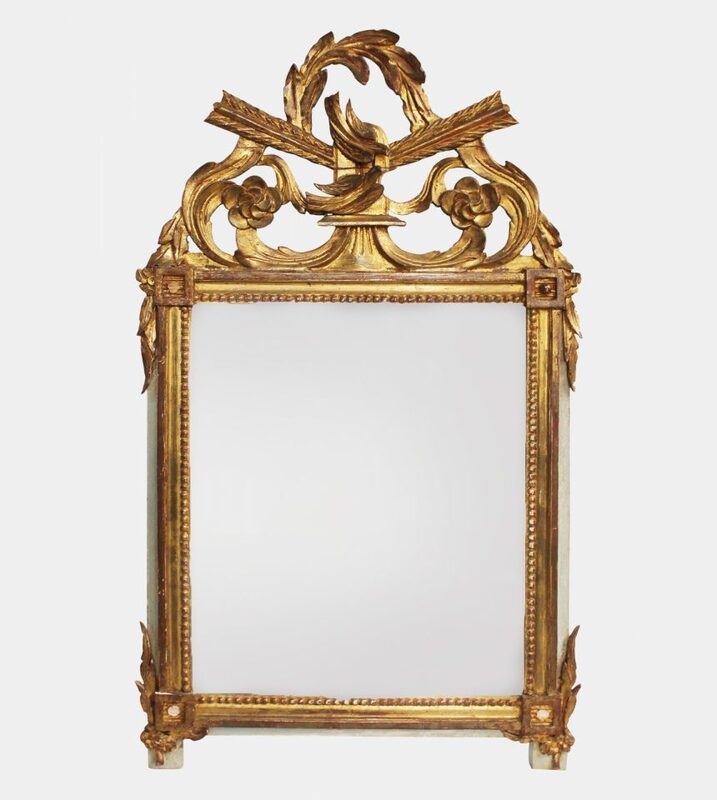 This gold leaf frame features carvings that include intricate floral designs and a shell motif in the upper corners. 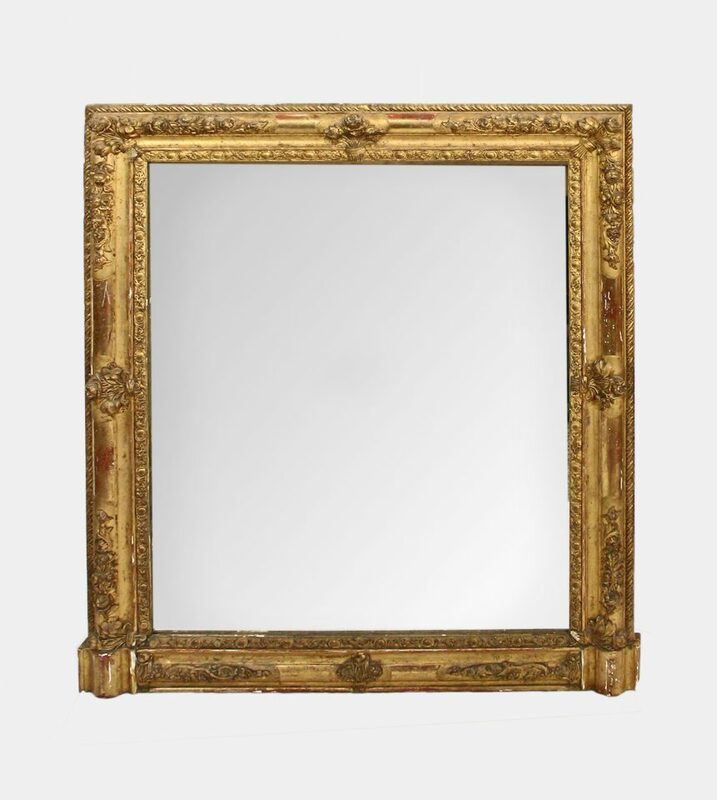 With original mercury mirror-glass in a good state. 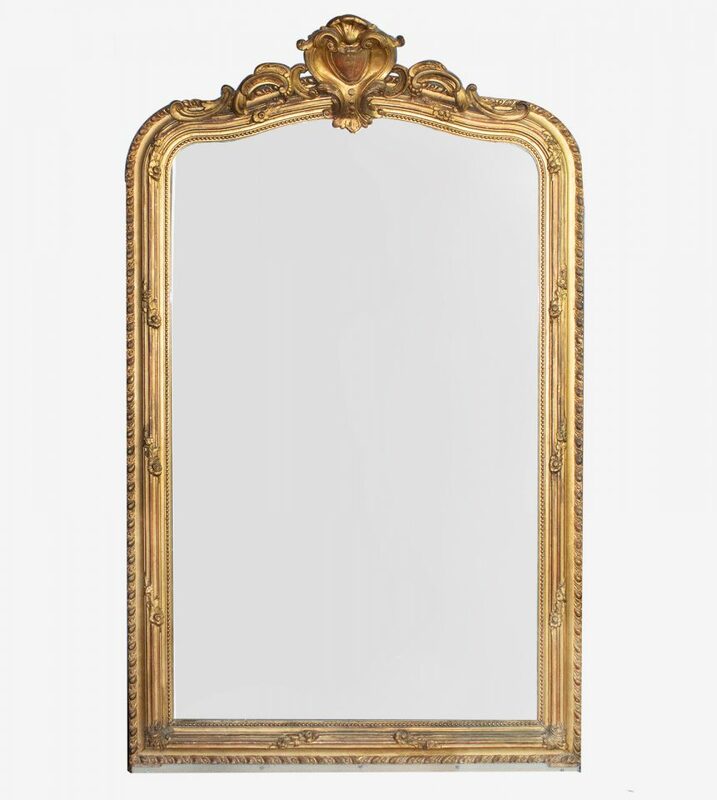 In the style of Louis XV.